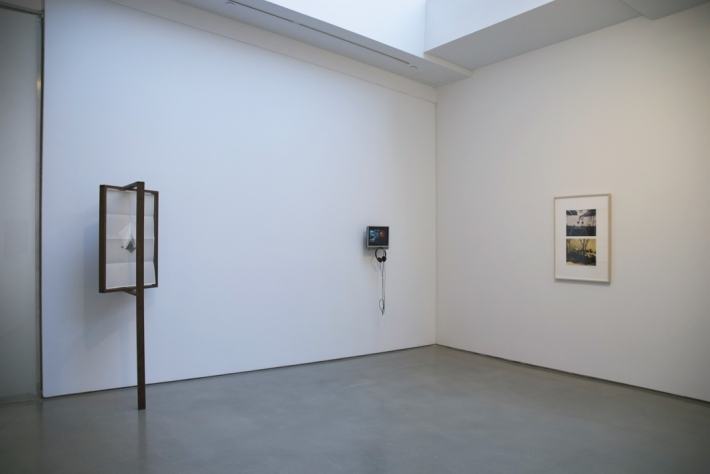 Overview: Koenraad Dedobbeleer (left), Wineke Gartz (middle), Dan Graham (right); 303 Gallery, NYC. 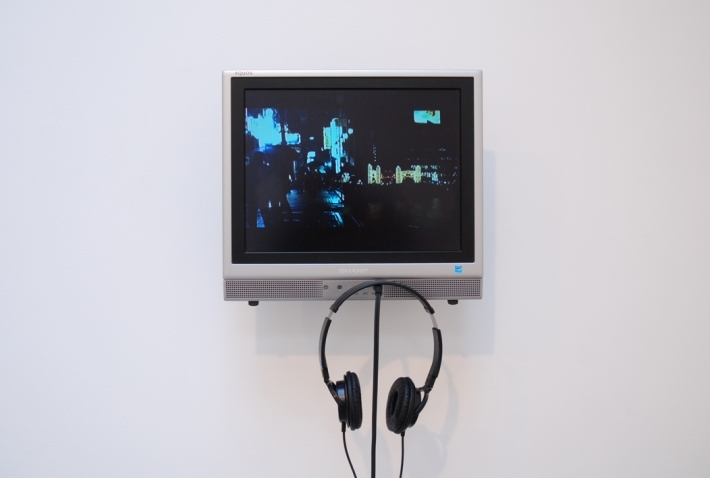 A video collage of two overlapping video projections showing images shot in Kitakyushu, Japan in 2003 and 2004. While living in japan for a year, Wineke Gartz befriended some of Kitakyushu’s homeless men and women. The footage covers different times of the year: summer time, Christmas time, and the rainy season. River Walk documents the homeless Japanese men and women in their habitats in public parks and alongside the rivers. In the town center, they were living underneath a steel arcade next to the River Walk shopping and amusement center, where they had made benches into their temporary homes. Shown as a video dyptich, these images are overlapped with shots of a busy restaurant area nearby and the omnipresent shopping street Christmas decorations. Castles of seasonal colored lights form an oddly comforting and utopian background for the homeless. The music in the video is House of Cards by Radiohead. River Walk is part of the project Men become Flowers (2003-2006).